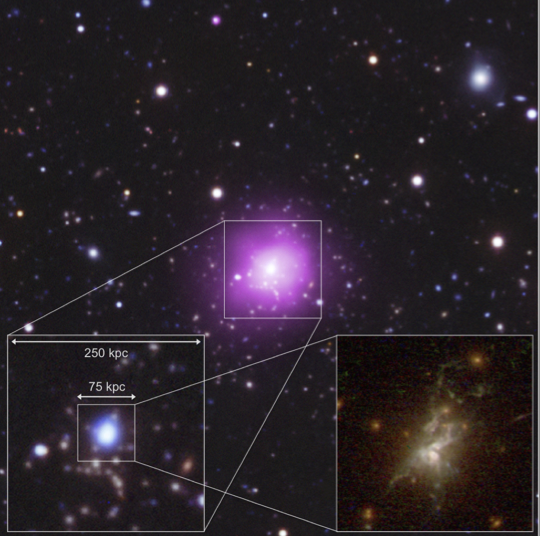 We present the latest results from the South Pole Telescope collaboration, focusing on a large follow-up program to observe the 80 most massive clusters at 0.4 < z < 1.2 with the Chandra X-ray Observatory. This survey has led to the discovery of the exotic Phoenix cluster, which harbors a massive starburst at its center, perhaps fueled by the first bonafide cooling flow. We present the latest results of a multi-wavelength follow-up of the Phoenix cluster, revealing in detail the extreme nature of this system. The full sample of 80+ clusters has provided new clues to the formation of cool cores, and the evolution of the cooling/feedback balance in cluster cores, as we will discuss. Finally, we will describe work in progress to constrain the evolution of the “Universal” temperature, pressure, and entropy profiles as a function of redshift. This work is providing the most detailed look at how the intracluster medium in an ensemble of clusters has assembled and evolved over the past ~8 Gyr. This entry was posted in colloquium. Bookmark the permalink.